With the new year, I've decided it's time for a sewing machine inventory! It's always good to remind yourself what you have, not to mention to vacuum the back of your closets. So here's what I have as of 2019. I'll split them into groups: the machines I use most often, the machines I'd like to use but haven't in a while, and everything else. I'm sometimes asked what machine I've used to complete a particular project and why I chose that machine. Often the answer is simply that the machine in question was already set up and ready to sew. When a machine is tucked away in a closet, no matter how fine a machine it is, it's unlikely to be used. It's sad but true. My 15-91 is not my most beautiful machine but it's the machine I've had the longest. An eBay purchase, it was rewired and tuned up a couple years later by my friend Rain Noe. It's the straight stitcher I use most often because it's incredibly reliable as well as easy to maintain. The only thing I don't like about these old black Singer straight stitchers is that the stitch length is hard to control (for me): the numbers are hard to read on the machine and the lever feels much less precise than a dial. Otherwise, I have no complaints. An "A." Since I had it tuned up last summer, my Bernina 930 works perfectly. I'll be honest, though: I don't have the same warm feelings toward it that I have toward my older machines and I find the piercing power to be almost too intense: this is the machine I break the most needles with, not that I break many needles. I never use the fancy embroidery stitches but it has quite a few. I even use it to sew on buttons when I don't want to sew them on by hand. But overall it's an "A" machine. It's also the one I paid the most for. I know it sounds crazy given the number of lovely vintage machines I own, but my Janome Hello Kitty -- the only sewing machine I ever bought new -- sees a lot of action. 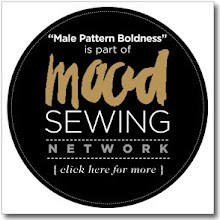 It's super easy to use and to maintain and happens to have a very nice stitch. I wind all my bobbins on it (except for Bernina bobbins--for some reason it won't accept those, nor my Featherweight bobbins--everything else). Since it doesn't need much oiling, I never have to worry about oil stains. Being bright pink, it's obvious when it's grimy and needs to be wiped down. An "A-/B+" machine. I used to use my Featherweight all the time. But I put it away and now I rarely take it out. Maybe it's time to take it out and leave it out. I even have a table for it, not that I have room for the table at this point. I happen to own five Featherweights at the moment, four blacks and a white. They're all wonderful machines: quiet, smooth, and simple to maintain. I need to use them more. The Singer 66 with the red-eye decals came with my treadle table. I've since replaced it with a cleaner Singer 66 with lotus decals. They're both great machines. The 66 models tend to sell for much less than the 15-91 (or 201), though they sew just as well imo. They have plenty of harp space and are super easy to maintain. An "A." The Singer 201 was Singer's top-of-the-line machine. It's the smoothest machine out there imo. Like the 15-91 it has a "potted" motor so no rubber belt. I do use mine some but I should use it more. It's another "A" machine. 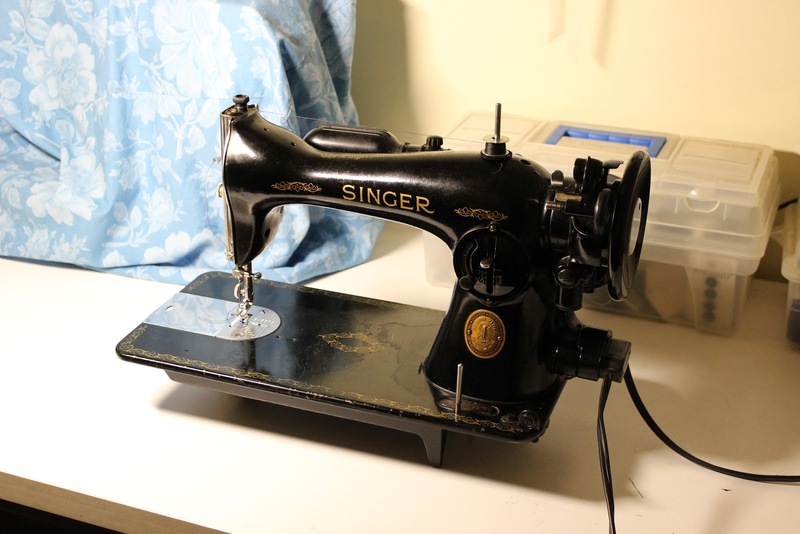 This is another Singer classic, only the 401a one is a zig-zag and can do some embroidery stitches too. It's also a slant machine. I picked it up it at the Chelsea Flea Market a few years ago and the only reason I don't use it is -- like so many others -- it's just not set up at the moment. Fabulous machine though! I love my little Grasshopper so much and I used to use it a lot more than I do now. I love the fold-down knee pedal (that folds up easily) and the whole design is just amazing. Arguably my most beautiful machine. Oh, this post is getting long! Here's what else I have, in brief, and there's nothing wrong with any of 'em, though some need a little TLC. I think that's it -- have I missed anything? I believe that adds up to 19 machines. In addition, I have two toy machines (both gifts), and a serger (my beloved Brother 1034D). I don't intend to buy any more machines (in case you're wondering) and who knows--I may downsize a bit. There's something about actually facing all of these at one time that's a little overwhelming. 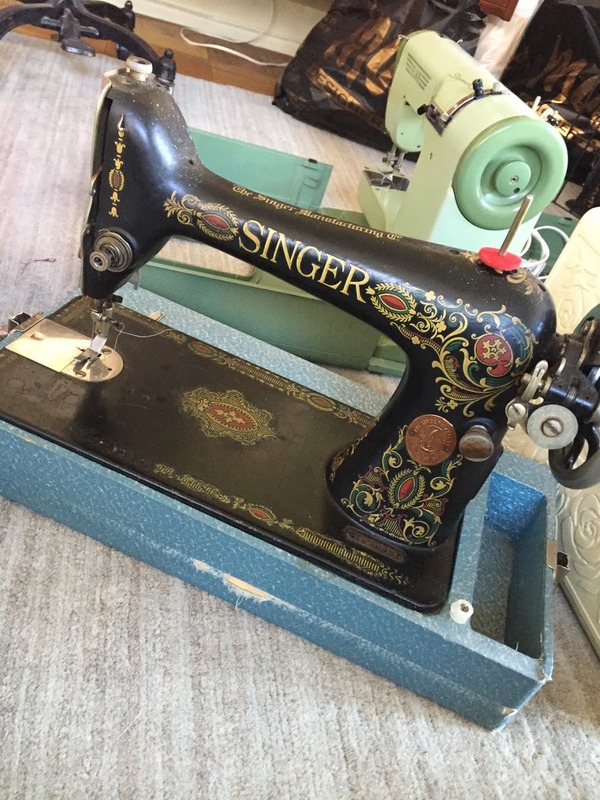 I owned only a Singer Featherweight manufactured in 1952, two years before I arrived on the scene! I wanted a new machine with more stitches, but inexpensive and dependable. 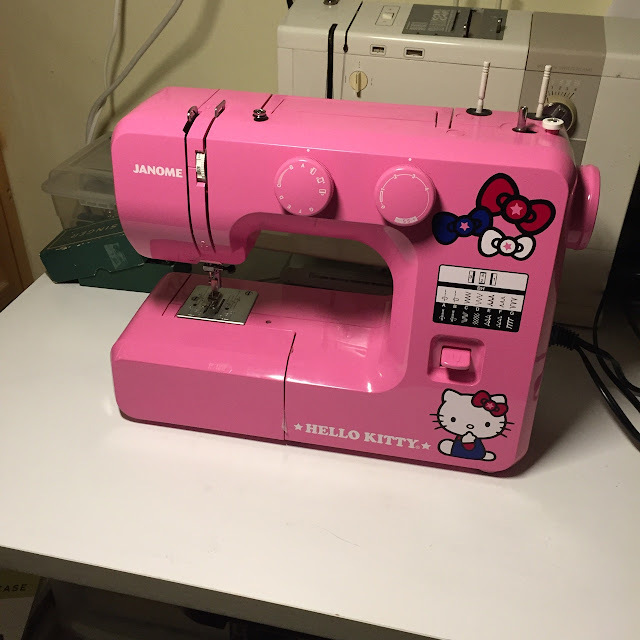 I bought the Janome Hello Kitty based on your experience. I have not been disappointed. I seldom use my Featherweight now. I think the straight stitch on the Hello Kitty is as good as the Featherweight's. I feel a little guilty when I look at the Featherweight's carrying case but don't take it out. I'm so glad you're happy with the Janome, Patricia. I think it's a great machine--and it requires very little maintenance! i have one of those Singer 401A machines, and i'm actually selling it -- not because i don't like it (if anyone is interested...), but because i don't have room for it, and i prefer my other Singer instead. It's such an interesting machine... the dial is such a unique feature. i love that one of your favorites is still the Hello Kitty machine! 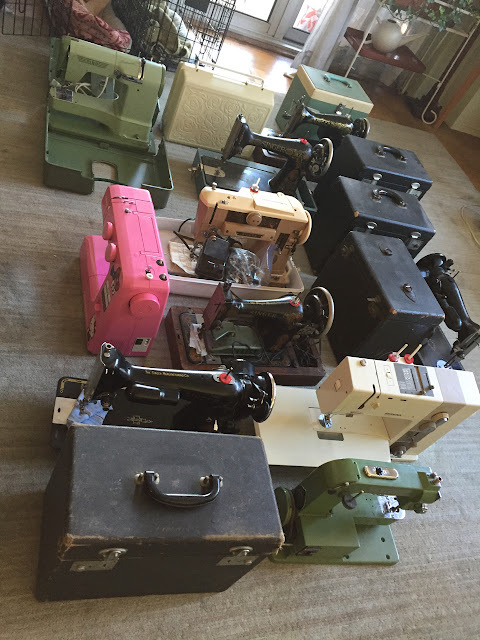 I have a Janome 4800 which I use most often, a Singer 127 treadle, Singer 128 handcrank, Singer 115, Singer 221 featherweight, Kenmore 117, a Brother PE770, Brother coverstitch machine, a Necchi serger, and an old red Viking which I need to get rid of. I do use the featherweight quite a bit also, and the serger. Just don't name any of your machines or you will never be able to part with them. I should know. Your posts are NEVER too long. Peter, we thirst for your thoughts. Contemplating a Hello Kitty machine now, just sayin'. I LOVE my little Elna Grasshopper. Used it over the holidays for the first time in a long while. As for the others, I have many of the same ones as yours. My Bernina 1020 gets the most use. My 930 after that. Haven't used the featherweight in many years. Ooh, I love reading about all your machines! I have a Singer 201k hand crank (incredible straight stitch), a Kenmore 158, an Eversewn Sparrow 15, and three vintage Berninas: a 125, a 707 Minimatic, and a Bernina 830 Record (my true love!). I also have a new Bernina B530 (my other true love). Those are the ones that work. 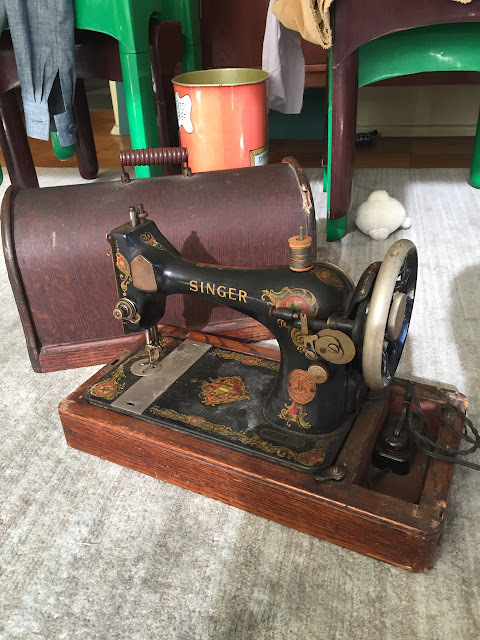 I also have two old Singers: a Singer 28k (a vibrating shuttle machine,from 1906!) and a Singer 99. I'd like to get the last two working. That will be my project some day. Every time you show off that pink hello kitty machine I think "I should really get myself one of those as a spare or to let the kids learn on." One of these days maybe. My brother still has (I believe) the Necchi Supernova on which I learned to sew, on the other side of the country. I have more modern machines: a Janome 11K which needs a thump on top to get the screen working, so I don't use it often, a Brother XL-2620 which I bought to use when the Janome was in for its annual service some years ago and about which we say "It's not heavy - it's my Brother!" 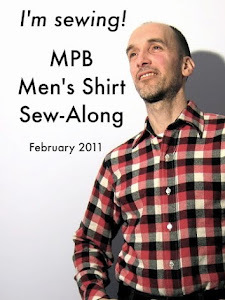 (I've been teaching my husband to sew on this one.) And my Janome 1200D combined overlocker/ coverstitch. Oh and the Brother GS-2510 which I bought by mistake. Didn't realise I was the highest bidder until the auction ended. That one has been taken out of the box to make sure it was all there, but never used. In fact it still has the blue tape on it! Must get around to selling it someday! cant believe you have so many featherweights! My featherweight is probably my favourite to sew on - both because of the stitch and also the sound of the machine. 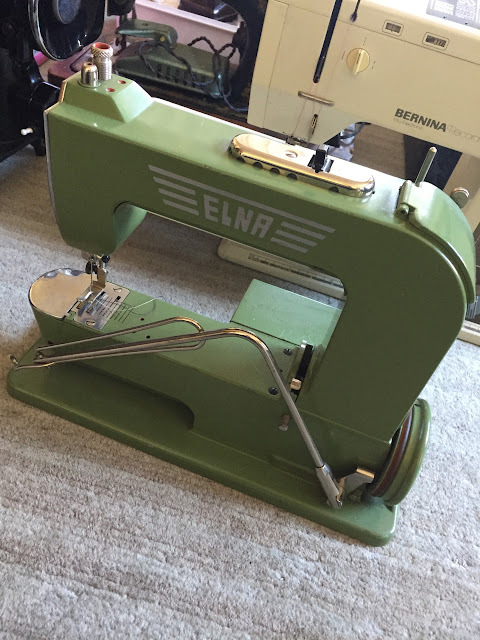 I have an elna lotus that has the best stitch but I find it not as useful for all projects and have yet to sew wool coating in it. My original 80s singer and 328 are great, I dont use them as much but find the free arm of the 80s singer useful. My 80s singer I bought new when I was 22. I did get an old Pfaff which I bought for the design and its fine - I also have a new husq sew and embroidery machine, which I use but not so much for general sewing as I really prefer the older machines - the electronic foot raise is still 'weird' to me. My last machine is a straight stitch Bernina. I got in on Ebay last year and am to get it serviced. I got it for the feet drop so I can try free motion embroidery. I would love to try a singer Irish for embroider or to see one 'in real life' working and my other dream machine is a singer 201. I have heard great things about them..... the only thing is I am getting short on space!! That's great advice, addiction-potential notwithstanding! It serves two purposes: value, and beginning an important relationship with the person who will service that machine. If I can't work on it and I don't know anyone who can, there's no point in me owning one. I have two Bernina's in the same model range and the Kenmore 158. And a serger. And a coverstitch I don't need. Hm. 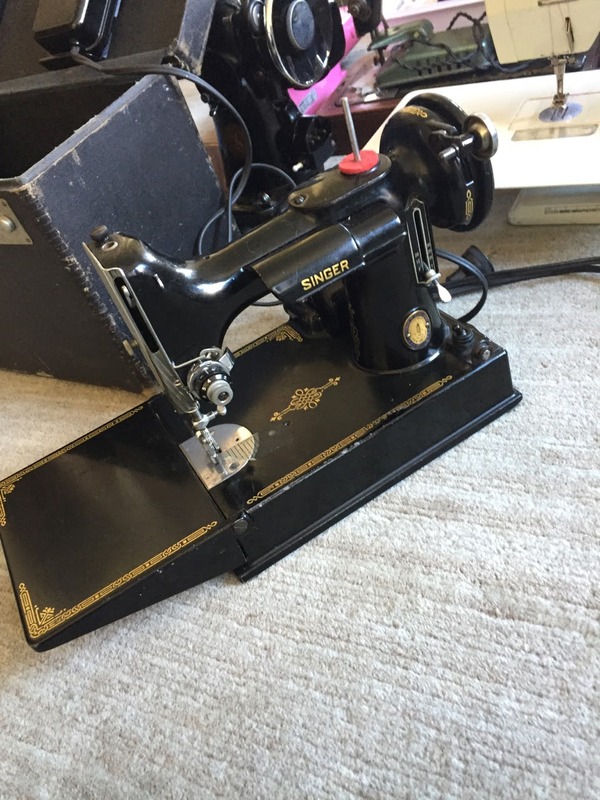 I sew on a Singer 401, it is an amazing machine that does lots of fancy things and has a beautiful stitch. Still, I sometimes feel badly that I don't have a Bernina or a new fancy machine. Thank you for reminding me, I have everything I need. I don't use my featherweight or my 301 like I used to either. I like to have zig zag available. Tammy, the truth of course is that for basic sewing, Berninas aren't doing anything that most other sewing machines can do. There's a mystique about them I've never really understood. I appreciate my 930 but the heart connection isn't really there. I find myself gravitating toward my 401 both for the straight stitch and zig-zag. I was lucky enough to acquire a 201 and I intend to use it more often this year because its so incredibly smooth! I also bought a Rocketeer and even though they hate knits I had to have it because I love it's space age Jetson styling. Scorp, wax on, why don't ya, about the knobs and dials. The ability to host cams, and that futuristic chart instructing one how to get so many different stitches by turning just two dials. 201 precision, can not be left off the table. I don't have a 401, but you're piquing my interest a bit. Are you getting a Hello Kitty itch? Peter is spreading it all over the Internet. I have one machine that isn't a Singer and that's a Kenmore I bought about 15 years ago and I use it primarily for making buttonholes. I'm not adding anything more to my collection. 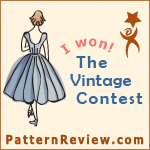 I started sewing again about 5 years ago at age 53. I quickly tossed the plastic Brother machine and on the advice of a friend, I purchased a Singer Slant-O-Matic Rocketeer. It was love at first sight!! Love, love, love my girl! I have since acquired several other vintage machines but I always go back to my Rocketeer. I LOVE my Electrogrand, which is a Japanese knock-off of the Singer 201. 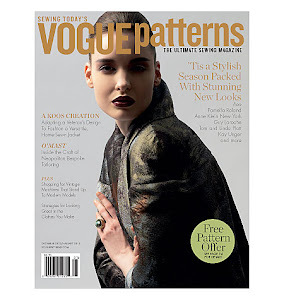 It is the best for top-stitching and straight-stitching. My "new" machine is a Kenmore 158.1355080, which I use mostly for zig-zag. 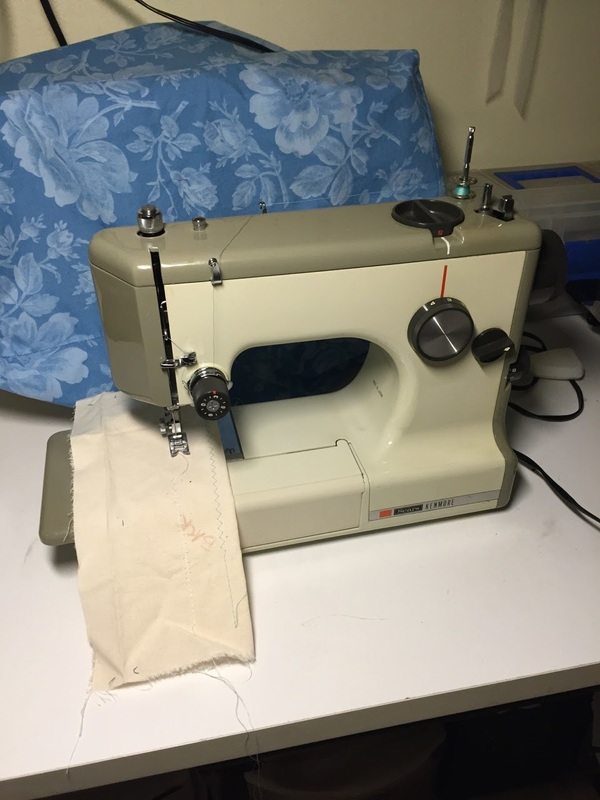 I also have an old serger, but I struggle to get the thread tension right, so it doesn't get as much use as it could. You haven't tried the Singer 328K, a zigzag with cams that let you do very decorative stitching. One of the last metal bodied machines of the 60s, it has become pricey lately. Possibly because it is so repairable. It is easy to clean, easy to oil, and a workhorse. I've seen it described as "industrial." I love my Bernina 1230, which I bought after testing it on a Barbie Sized collar to blouse, Even stitches. You may have too many machines when you have more than one of a specific make and model. I don't know. I can only tell you that when I see ads for sewing machines, they tug at my heart the way stories of abandoned pets do. Yes, all 221's. The 222's are much rarer and quite expensive when they show up on eBay. Wow! Those are many machines. I only recently started sewing and my first machine was a brother and I love it. Has anyone tried a Juki? Also the old Singers-some of them still use a shuttle-type bobbin I'm nor sure whether one has to hand wind. However I was wondering are the parts still easily available? Yes -- you can find most of this stuff on eBay. Like you I have machines that span the 20th century. The oldest and most interesting is a 1928 Wilcox & Gibbs industrial set into a stand. Oddly not its original stand but a Singer stand from the 50's with a cool jadeite green Formica top. The machine is belt driven with a bushing motor and even at 91 years old it roars along at 4,000 per minute. The vibration though - omg - and it's so noisy it can be heard all over the house. My only complaint is that it leaks oil. I always enjoy your posts, but I loved this one! I thought I had a lot of machines, but you have me beat. 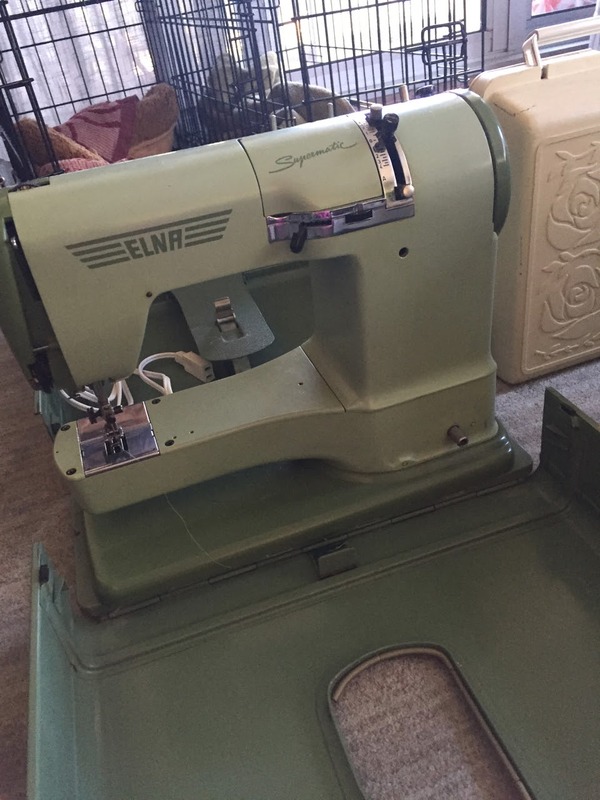 In the order I got them: A Singer Style-O-Matic 328 early 60's, the one I learned to sew on and used to make my wedding gown. Necchi free-arm I bought when I started my business in 1990 and have since given to my daughter "in case she ever needs to sew something"; Bernette 334DS serger, Bernina 1230 both bought in 1991; Babylock blindhemmer; Juki MO664D serger; 2 Featherweights 221s from 1938 and 1939; Janome Coverstitch 1000CP; Singer 99K that my brother-in-law bought for $5 because he thought it was like the Featherweights I'd bought while visiting him; mechanical Bernina 830 that I bought because I was offered it, and someone had to! ; Brother PE770 embroidery machine that was a great deal; 4 Brother Project Runway various models for my students' use; and a Brother PQ1500SL that I just got 3 months ago. You're right that it's the ones already set up that get used - my new Brother took the cut-out space my Bernina 1230 previously occupied, the Juki serger came in to replace the Bernette when the motor brushes burned out, and stays in everyday use event though the Bernette reappeared within days; and two of the Project Runway machines are almost always set up and ready to go. I think we all need bigger sewing rooms with multiple machine stations! How are those Brother Project Runway machines? I know they've been very popular (judging by the Amazon reviews). They're pretty perfect for the students, and I've even used them for small projects in my own sewing. I like the ones with speed control for my littlest learners, and the needle up/down button that some of them have. The needle threader is a bit sensitive and easily misaligned, but when used properly it's great. I don't like the automatic needle left position and the fact that the throat plate markings are for distance from the needle left, so I have to make adjustments in seam allowance when the needle is centered. You can reset the default on them so that the machine starts with either needle left or centered, and stops up or down. The buttonhole foot has a space to hold the button for automatic sizing, and it makes an okay buttonhole with both sides stitched in the same direction - so it looks more uniform than my Bernina 1230 makes. I bought a set of wide roll-hem feet that snap on, thinking I'd use them with the Bernina, but neither of the two adapters I bought allow the needle to clear the foot, so I've been using them on the Brothers instead. All in all for the price, they're great little machines, but being so much plastic I doubt they'll last long. 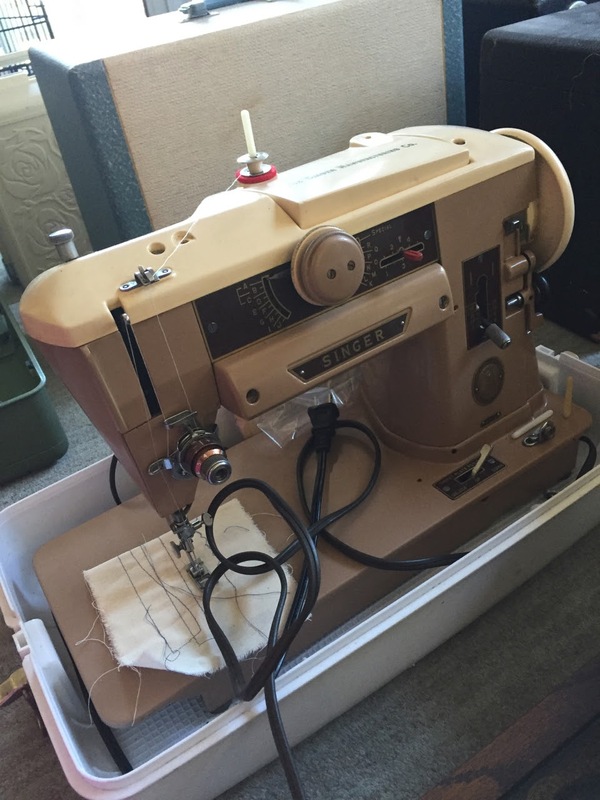 I had a Pfaff 30 in a table -- it was gorgeous straight stitcher but I sold it, alas, as it took up too much space. Such a collection! I have a Bernina 1080 that was my first 'expensive' sewing machine. Before that I had a Kenmore. I also have a featherweight that I should use more. Also another machine that is basically a Singer 15-91 but is labeled Challenge, which cracks me up. I also have Bernina 640 and now a Juki 2010tlq straigntstitch. 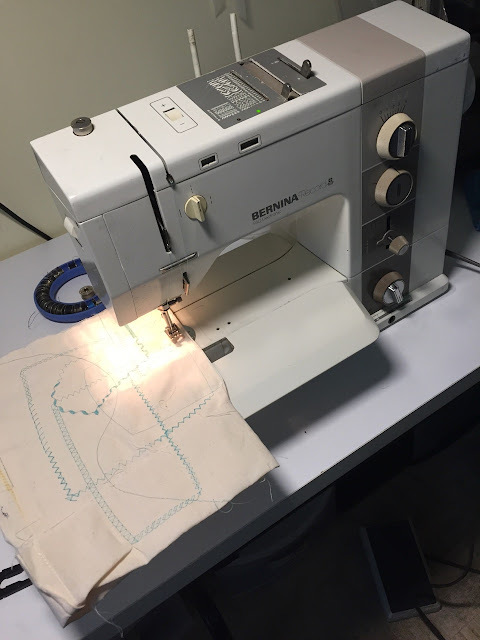 I have a Bernina 1100DA serger and a Babylock coverstitch. I also have an industrial Juki 1540-dnu walking foot machine. I will probably sell that since I don't use it much and it takes up a lot of space. I'd really like to get one of those old White turquoise and chrome machines, so beautiful. Not actively looking but if I ran across one, I'd pounce! Enjoyed reading about everyone's collection of sewing machines. 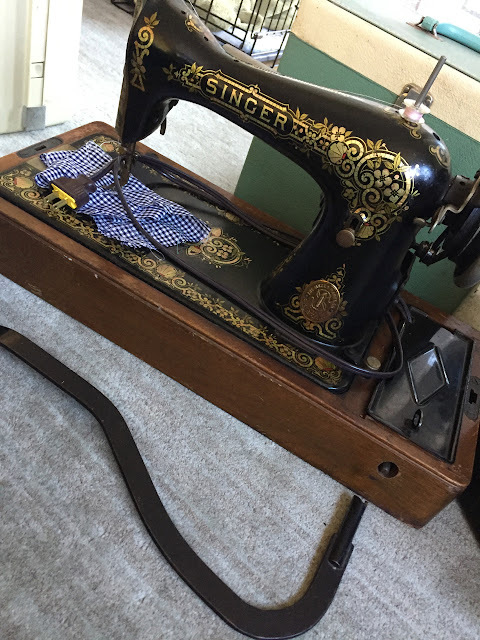 I have my grandmother's Singer 201 in a cabinet desk with matching stool; my mom's Viking Husqvarva 400; TWO black Singer Featherweights; a Kenmore 3/4 size 1040 acquired from St Vincent de Paul thrift store, jammed with thread in the bobbin case, attachments in factory wrap; Janome School Mate picked up when our school was being remodeled; Bernina 3/4 size 707 which needed a new foot pedal; and my Baby Lock Accord sewing/embroidery machine. Also a Singer sewing table with a cutout for a portable machine and matching stool. The consumer science teacher also gave me several Singer student manuals and boxes of attachments from old Singer machines found in back of the closet. The treasure she gave me was TWO copies of "Teachers Textbook of Machine Sewing" which covered many models of Singer machines and attachments. I've had my 1911 Red-Eye 66 the longest. Dad bought it at a garage sale for the treadle legs, which he topped with a marble slab. This is where he reads his newspaper. My sister took the drawers and now has them reconfigured as a night stand. I have the machine, which I brought home flying military space available to commercial connections, running through LAX in my Service Dress Blues, dragging it in a cardboard box on a folding luggage dolly. I got another treadle base, stamped steel 1930s vintage, at a garage sale a few years later for $20, with a WD-40 gummed up machine. I got that one un-gummed with more WD-40, then machine oil, then sold it quick for $20. So my 66 treadle was basically free. It's my go to for heavy work. My second oldest is a 1908 Singer 18-2. This is a shoe machine with a horizontal horn below, rather than a flat bed surface. A little tinkering and I might get it running. My third machine is a Singer Merritt 2404, which takes cogs for decorative stitches. I never use them, except for the one of those cogs that's a basic zig-zag, so this is my one non-straight-stitch machine for when I need that. It's early '80s, I think. Compared to the cast iron Singers, it's a little less soulful. The reverse stitch is by pressing the big pink button, which needs enough pressure that it also pushes the machine away from me across the table. It's my only rotary shuttle machine. My newest (to me) is a 1955 Singer 99K, which I got from the swap room at the dump last summer. With some penetrating oil and buffing, and a few parts from my 66 parts machine, it runs and sews pretty well, and is my current first choice when I need to sew something. I hope to finish a pair of work pants on it this afternoon. I had a late 80s Kenmore with a rotary shuttle, but the bobbing holder had a gouge in the plastic that made the thread catch and break. It's an $18 part, but I didn't bother. I just took it back to the swap room. I also got a 15-92 there, a beautiful machine that ran great. I gave it to my (now Ex) mother in law, who had some 90s machine that was driving her nuts. One of the attendants at the dump told me that they get these old machines and nobody wants them, so they often go on the metal recycling pile, but he offered to set them aside for me. Hell yeah. Someday I want a studio shed in the back yard, and there's going to be a wall with display shelves for a dozen or so machines. loved reading about your collection, have 2 x 201 treadles, a 128 hand crank, a 221 featherweight, just love treadling and free motioning my quilts together but a featherweights easier to carry outdoors when piecing, made a quilt on a rugby pitch, with solar energy 12v battery with inverter, was great fun sewing in fresh air. enjoy your day. Peter you did not make a comment about the Elna supermatic. It is even very low on your list? Did Elna stop making worthwhile machines after the Grasshopper? As you said blog post was getting long? But poor old Elna super got passed-by. I have just sold my Bernina 931 and 707, (My Partner says "Peter MPB would be ashamed of you! "), in its place I am using an Elna SU 65C and a TSP side by side. I have the luxury of space and love to have two machines threaded differently to save changing thread and bobbin for a different task. Price wise the TWO Elna Machines cost me 1/5th of what I sold the two Berninas for. Usual period of adjustment getting used to tension, feed dogs etc but now love the Elnas. For the sewing I do there is nothing I miss. One quirky thing I do love is the ability to change the speed with my toe. Warm climate sew in bare feet! Have you used these machines? To be honest, Michael, the Supermatic was a gift and I have since passed it along to someone else. I find models that come with cams to be more complex than I have patience for. But it was definitely a beautiful machine and a workhorse. Yes the simpler the better. I have to say that I have been stalking you in "Machine Sense". And I have fallen for the Pfaff 30. Since finding your blog I set about buying the machines that you had reviewed/used. 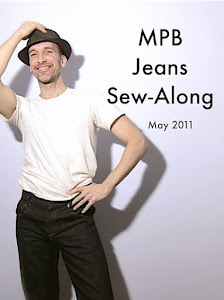 My goal was to buy them, fix if needed, sew at least one garment and sell it. No room for me to keep all of them so forced to move them on. I started out buying my first Singer ever, the 201. This was a belted version (Potted not common in Australia). I had it on a treadle and then added a motor before selling. Works great on both an was a very nice capable machine. Next was 66. Nice machine but sold it. Then I bought the first of my four Pfaff 30'S. Still have them all. The first I thought was a pretty nice treadle and it gave me a good impression of the brand and model. But WOW My last is a beautiful electric in great condition and it is definitely my favorite. I have modified a cabinet to allow me to swap from electric or treadle with ease. I love this little transformer trick. I have been doing this with motors bolted onto the back of machines. However, I have just bought a servo motor to mount in a vintage cabinet and run the belt from under the cabinet. Number three Pfaff 30 I bought was a very nice looking machine with almost no signs of use. But it was a right off inside! Rats had nested in the cabinet and urinated into the machine itself. Rust had seized the machine completely! And, it had more oil varnish than I have seen on anything. Odd for a machine that looked like it had been used very little. An over zealous owner with poor quality oil? Whatever this machine had a Double whammy and it was nothing more than good looking junk. This was not something a bit of tri-flow and a hot sunny day could sort out. I completely dis-assembled this machine, cleaned and polished all parts and put it back together. I figured it was a right off anyhow and if I got it back together and stitching correctly I would have learned how a sewing machine worked. I know for some this would not be a big deal as these early machines are pretty simple but I got it done. I have a great sense of pride when I see this machine forming a beautiful stitch. It lives on. Continuing my way through the list I bought a Bernina 931. Could not get a 930 but read in your review that yours did not have the needle positioning and you don't use the fancy stitching so accepted that the 931 was close enough. Yes very nice machine. New experience for me to use an electronic machine. Very impressed one day when the machine slowed up when it met resistance with a belt loop on some trousers, then went on its merry way when the obstacle was passed. I decided to keep this one for a while. My sewing bench then had the 931 and a 707. However, I read about problems with the boards on the 931/930s. Then you had to have yours repaired...… I read another article elsewhere decrying Bernina owners and the HYPE (Quote) they create over their machines. Oh dear! Apart from one Elna I have only ever owned Berninas 530-2 730 707.and my brand was being trashed by Elan owners. AHHH! OK I thought I will get that Elna TSP 72C from under my bench and see how it stacks up to the 931. Short version: I sold the two Berninas and bought a second Elna. So! while I had fun with the 931, for the sewing I do I like the simplicity of the early mechanicals. Either as electric or the mesmerizing treadles. And there are no intricate electronics to tear the whole machine down. I also have a butch Anker RZ and a Bernina 117 but most of all I have fallen for the sweet little Pfaff 30s. 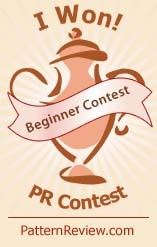 Thank you Peter for your blog and inspiration. While I have had a slight deviation away from your list of machines with my Elnas, I will be getting back on track next week as I have now found a Featherweight. I would just post it on Craigslist if you have that in your area. SAVE THE DATE -- MPB Day WINTER FROLIC 2019!